The group seemed to agree that a serious rider is someone who rides more than just on weekends, and makes a conscious effort to improve their riding skills. At this point it became clear to me that I am not, apparently, a serious rider. Well here’s my truth: I’d love to feel so confident in my riding skills that I know I could think and react quickly enough when needed to prevent serious injury (or worse) to myself. But at this time, apart from whatever skill development comes from simply riding as often as I can, I rely almost exclusively on the fervent hope that I will come home from every ride in one piece, without having tested my emergency skills at all. Realizing that the above is pretty much the “wing and a prayer” method, and although I most certainly bristled at this group’s attempt to classify people into types of riders (not to mention implying that one type of rider should strive to become the other type), I did ultimately ask myself a serious question: how might I specifically set out to improve my riding skills? Parking lot practice, maybe? Sure I could get out there in an empty parking lot and practice my tight circles and quick stops, but this seems like little more than planning a date to dump my bike. I think the better answer is actually classes. After all, if a sanctioned class including plenty of range time is considered the best way to learn the basics of riding, it stands to reason that it’s also the best way to learn and practice advanced skills. 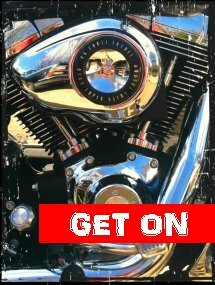 Motorcycle Safety Foundation (MSF) – The MSF Basic RiderCourse is of course, the class that gets you your motorcycle license when you complete it successfully. 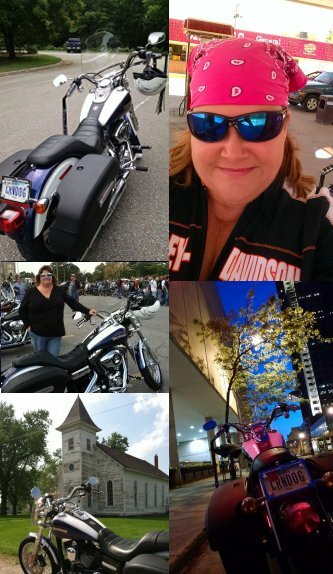 But the MSF offers a wide variety of advanced classes, including the Advanced RiderCourse, the Street RiderCourse, and their Ultimate Bike Bonding Course. Their website has complete information on all of these. Some Harley-Davidson dealerships also offer “new rider” and “skilled (experienced) rider” courses. You are not required to be a Harley owner to take these classes, but not every dealership offers them. Check with your local or regional dealer to see what’s offered. You can also try private instruction such as that offered by Ride Like A Pro – interesting because it focuses on the techniques of slow-speed control that are taught to police teams. Indeed, any program offering “civilian motorcop training” will likely focus on slow-speed maneuvers such as cone weaves, the 180-turn box, figure 8’s, raising a downed motorcycle, and more. The course offered by Midwest Motorcycle Training also appears to be fairly comprehensive. Some of the “serious riders” I’ve encountered also recommend learning the basics of dirt track riding, to give you some skills with handling less-than-perfect traction. This seems to me to be not only a good idea… but fun! (Except for the inevitable broken arm, of course.) 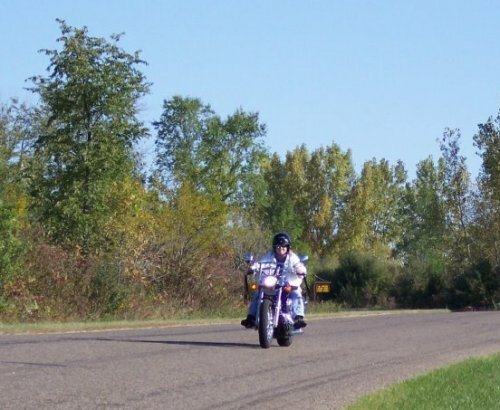 The Midwest Motorcycle Training course linked above seems to include this in their motorcop training, but certainly there are many other resources. Another class that might be helpful, though it doesn’t improve riding skills per se, is accident scene management. This type of training, such as that offered by Road Guardians, comes with a keen level of responsibility for sure, but just think about the level of aid and comfort you would be able to offer to an injured rider if you knew how to secure a scene and keep them calm while you wait for medical help to arrive. Our local Harley dealership has offered this course numerous times. I’m certain these are just a few of the opportunities to consciously set about improving your skills and therefore become a “serious rider” – which you should do for yourself, not because some random online chat group makes you feel inferior. If you know of other opportunities or have other suggestions, please feel free to share by leaving a comment – just click the ‘comments’ link at the top of this article! *I might simply be overly sensitive, but just a week later this same group discussed what type of gear everyone wears when riding. And they were pretty quick to jump on the gal who admitted up front that she dresses for the weather and not for the crash. Perhaps this is just not the right chat group for me. I didn’t ride last year nearly as much as I normally do … and I’ve noticed that my low speed skills like u-turns have deteriorated a lot. I’ve also been sloppy in not paying much attention to how/where I park and I’ve done some pretty silly rookie things that I haven’t done in over a decade. Love hearing from you, Wendy! These last three years have been a challenge for me – I haven’t ridden much except for this year I seem to be back on a roll, which feels great. I really want to learn/work on some of these skills… I want to get better at quick stops, and I’d like to overcome my grudge against gravel. I just don’t want to dump my bike doing it!